Each Mint & Dark Chocolate pop consists of 2 tasty marshmallows on a stick, wrapped in a clear bag and tied with a gold bow. 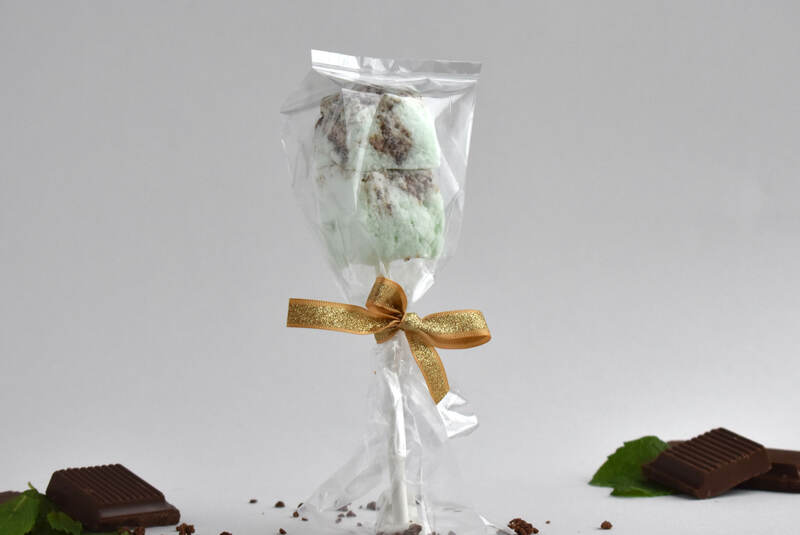 These luscious marshmallows are delicately balanced with natural peppermint oil & topped with the finest dark Belgian chocolate. 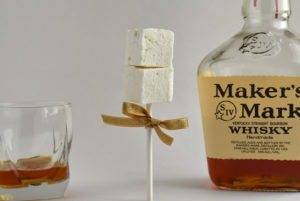 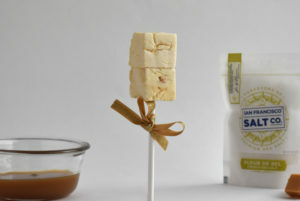 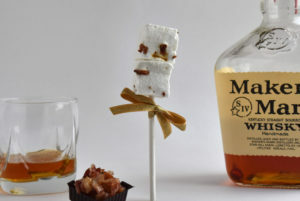 Our marshmallow pops make fantastic party favors or gifts for any occasion.